Precision CNC machined billet aluminum body with threaded rod ends. 15mm shorter than stock, and allows up to 25mm of reduced ride height in 1mm increments for easy geometry changes (when measured at the seat). 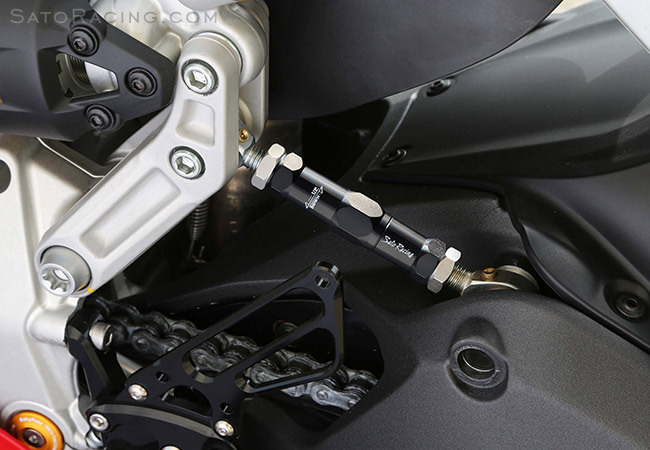 Make adjustments without removing the link from the bike with a pair of wrenches on the lock nuts. Great for street riders or track / racing use. Precision stainless self lubricating rod ends for years of service. 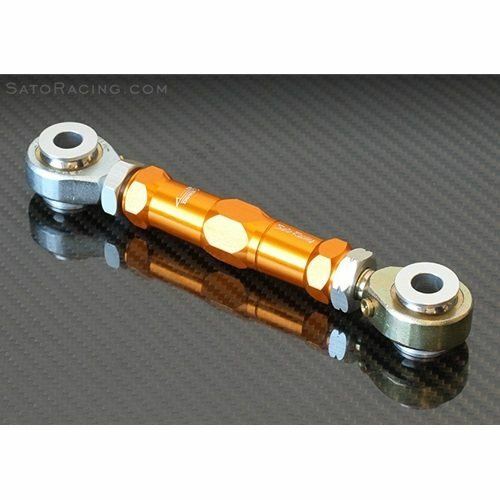 Choice of gold or black finish (this part number is for GOLD).